Large pearl bracelet with handcrafted sterling clasp and pearl bobble. 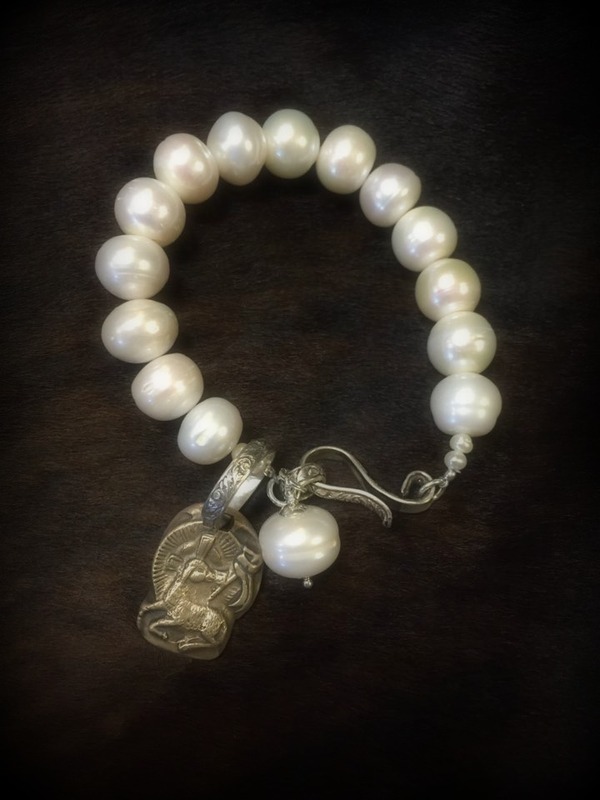 This bracelet has been accented with a bronze Lamb of God on a sterling bail. This charm can be removed and added to other pieces. This is for bracelet only, to add Lamb of God simply choose from drop down menu and add to cart.